Oh, what I would give to be back on this porch looking at this amazing view. Last weekend, my boyfriend and I flew to San Francisco and drove right to Napa for 2.5 days of biking, delicious wine, good food and sunshine. 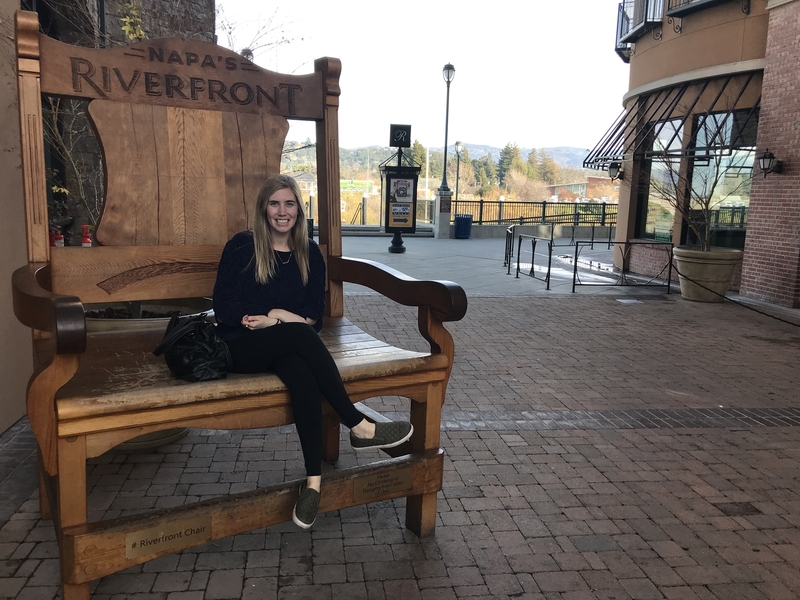 The last time I went to Napa it was for a girl’s trip in June of 2012, so this time around was quite a different experience. Both of them were awesome, and now I’d love to go back in the Fall when they are harvesting the wine. I could really go to Napa any time …twist my arm. Before we went to Napa, I did my fair share of google searches to research activities in the Winter time. I found out there was a Truffle Festival, we were missing Napa Restaurant Week by a few days and lots of information on bike tours. Bike tours really got my wheels turning, no pun intended. I loved the bike tour I did in Amsterdam and I would like to do a few more in different cities. The tour got started too early in the morning on the day we arrived so we missed it. I’m going to say that we were lucky we did. We found out that we could rent our own bikes (much cheaper) and the nice gentleman at the Napa Tourist Center showed us where we could hop on the Napa Valley Vine Trail (aka bike trail). The first winery was a lot further than I thought from downtown Napa and I was definitely ready for a glass of cold white wine upon arrival. The Laird Family Estate was the spot. They had a sprawling patio where we could sit outside – a luxury we clearly don’t have in Chicago at the moment – and enjoy their $20 tasting. We stayed there for way too long before we realized we should probably try the winery across the street before it gets too dark to bike back to downtown Napa. The second winery we visited that day had a totally different vibe. We sat inside at the bar and got to hear full details about the winery and each wine we had. The other place was just too busy. We were inside a giant timber loft with really high ceilings. Trefethen Family Vineyards really delivered with their ambiance, service and quite possibly the best red we’ve ever tasted. Our own 2 person bike tour was a ton of fun. 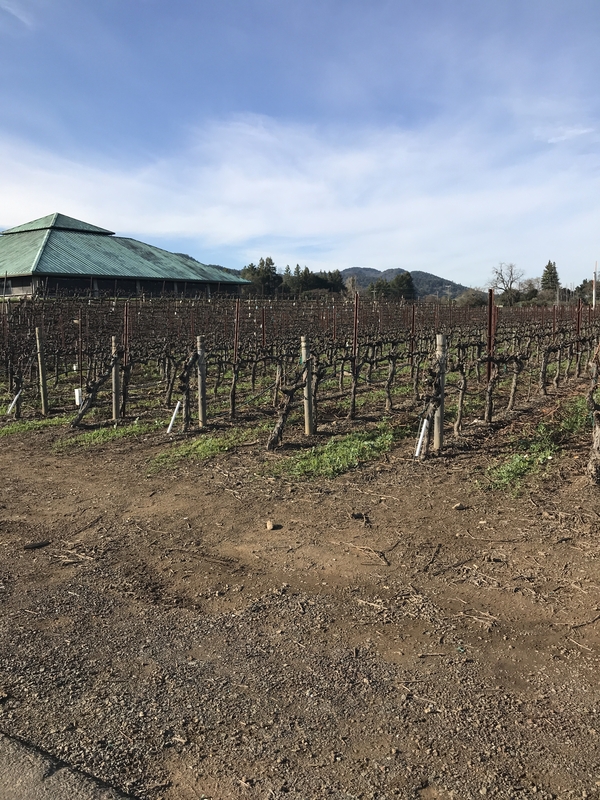 Now we know for next time that we should start in Yountville, or somewhere closer to the wineries, so there’s more time to spend at each winery and more to see along the way. We still made it home as the sun was setting, but we had to bike a good 7 miles home after 2 winery visits. I’m so glad there was a designated bike path to guide us. I highly recommend looking into bike tours or renting a bike to see Napa. I loved being able to do an outdoor activity and not freeze to death in the middle of winter. We were also super lucky that it was 60 and sunny on that first day. 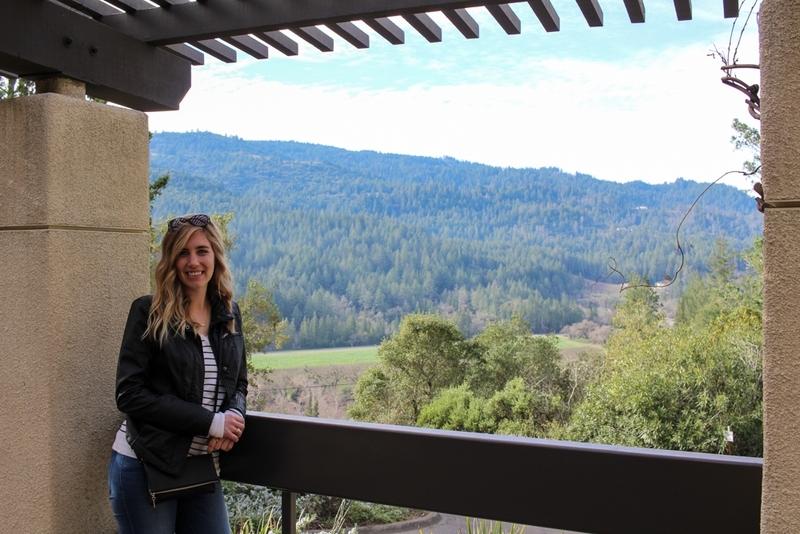 My next Napa post will be about the winery tours we did the next day- Sterling and Beringer. We also visited St.Helena and Yountville. There’s just too many awesome things to say about Napa.